Paul Casserly is most comfortable behind-the-scenes in all his media guises, but it’s his foray into music that has nudged him, however unwillingly, into the limelight. Along with Strawpeople co-founder Mark Tierney, key collaborators such as Greg Johnson, Fiona McDonald, and an array of top vocalists and musicians, he has created some of our smartest pop music. Strawpeople - Mark Tierney and Paul Casserly. Media, in all its forms, is in Casserly’s blood – he’s an award-winning television producer (Eating Media Lunch, Havoc and Newsboy and others), and a prominent critic and writer on media. He’s also been a director, jingle writer, DJ, magazine editor, video maker (Tim Finn, Crowded House, Dave Dobbyn among others), radio commentator and voice-over artist. With Greg Johnson, Casserly even gave the Shortland Street theme a make-over in the late 90s. In many ways Strawpeople were ahead of their time. They were one of the first local artists for whom the studio became an instrument. 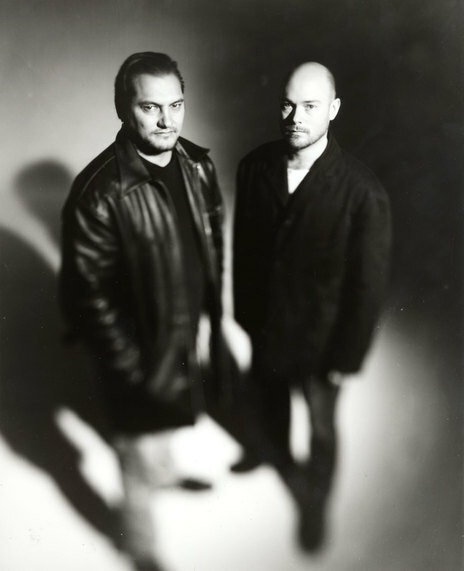 Although Strawpeople would never “make it” overseas (despite strong international interest and high profile movie synchs – Gus Van Sant used ‘Wings of Desire’ in a crucial scene in his 1995 film To Die For) their influence can be felt on a host of studio-based acts which came in their wake. And unlike many of their contemporaries, their records still sound great today. Casserly himself has managed to keep a low public profile and in many ways that has led to Strawpeople’s legacy being under-appreciated. “I don’t have the skills required to be up front,” Casserly told the NZ Herald’s Russell Baillie in 2004. “And so I recognise where my talents lie and it’s definitely backstage, and when it comes to music I don’t play an instrument and I don’t sing, so that’s pretty clear. The same with TV stuff. I can get by on radio but it’s a different skill to get by on television. I’m not a show pony, as such. But the Strawpeople story starts in the cramped studios of Auckland’s bFM in the late 80s. It was a place where Casserly, who struggled with his studies, found a bunch of likeminded geeks and outsiders. One of these was Mark Tierney who ran its tiny 8-track studio. “I was lucky in that I joined just as the station switched from AM to FM and they upgraded the suite from the 4-track in a closet situation to 8-track, and with a real honest-to-god mix console,” remembers Tierney. “The main thing in those days,” say Casserly, “was that we just loved hanging out in the studio and making stuff and, both being DJs at bFM, we had brilliant access to all sorts of music. “I think the specialist shows like Audible World gave us a sort of degree course in music. Tierney remembers the first collaborations were proto songs of ‘Something Else Is Missing’ (the above-mentioned track featuring the Pope) and another using BBC coverage about Chilean leader Salvador Allende. For a while the pair worked at a restaurant together and would go to the studio afterwards to make music, getting home at 5am. Strawpeople - Paul Casserly, Mark Tierney, Stephanie Tauevihi. Both were inspired by the cut-up work of Coldcut and the Bomb Squad. “We had zero access to music gear,” says Tierney. “To make the beats we would borrow whatever drum machines or synths we could get a hold of. If we were flush that week we would rent one. That was the big time. At the time they called themselves Red, which they soon had to change after a certain band from Birmingham became popular. That Tierney and Casserly would become musical partners shouldn’t have surprised anyone. Tierney had dropped out of art school and also had wide-ranging media interests and skills: he too would juggle roles as a filmmaker, jingle writer, record producer, commercial director, film critic and tv presenter (on TVNZ’s short-lived music show CV). He is now resident in the United States where he works in the film industry. Their working process was fluid. “Mark was all over the tech,” says Casserly. Both would bring ideas for pieces: some random audio, a possible sample, a beat or a four-bar composed loop, and set to work. “This process was completely elastic,” says Tierney, “and for some things, almost infinite! I don’t think it’s unfair to describe it as sculpting a song. Both of us would be plonking away, often Paul at the drum machine or synth, me at the console, until something exciting happened. Then we’d swap. It was as genuinely creatively open as you could get. “Later, as we had more money and better equipment, we’d often get our individual ideas to quite a developed place then start the sculpting process which by that point was two producers producing each other. Tierney recalls an appearance at a film festival at University of Auckland in the late 80s. Their work soon caught the ear of Trevor Reekie at Pagan Records and the pair found themselves the recipients of a QEII Arts Council grant. They signed with Pagan in 1988 and named themselves after a B-grade horror movie, The Wicker Man. Says Tierney, “The name came out of Paul always wanting to be in a band with ‘people’ in the title, and we both loved The Wicker Man, but Wickerpeople sounded silly to us. For some reason Strawpeople didn’t. “We did have the advantage of learning from the ‘proper’ musicians we had started recording and producing, like the very early Greg Johnson stuff.” Tierney would later produce Greg Johnson’s breakthrough track ‘Isabelle’. The Hemisphere album, recorded at the tiny bFM studio, was released in 1991 and picked up the Best Engineering and Most Promising Artist awards at the New Zealand Music Awards. 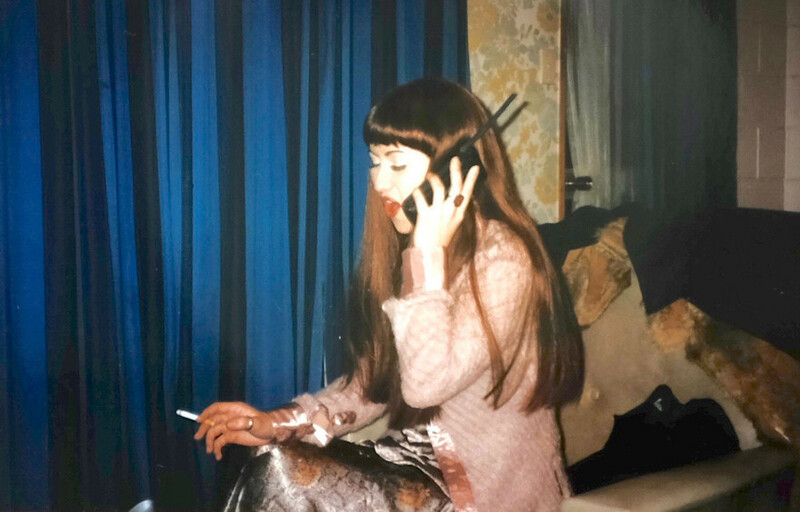 It was Reekie who suggested Merenia, a 16-year-old newcomer from Whakatane, who had released her debut single ‘Confessions’ a year before, to sing a remake of The Swingers’ twitchy guitar classic ‘One Good Reason’. Strawpeople recast it as funky, sensual pop. Although it didn’t chart, the song had strong airplay and showed what the duo were capable of. Strawpeople - Mark Tierney and Paul Casserly with Whakatane vocalist Merenia. The track also led to an influx of offers from ad companies for soundtrack work which would help fund the next album, Worldservice. Still many local commentators remained puzzled by the band. 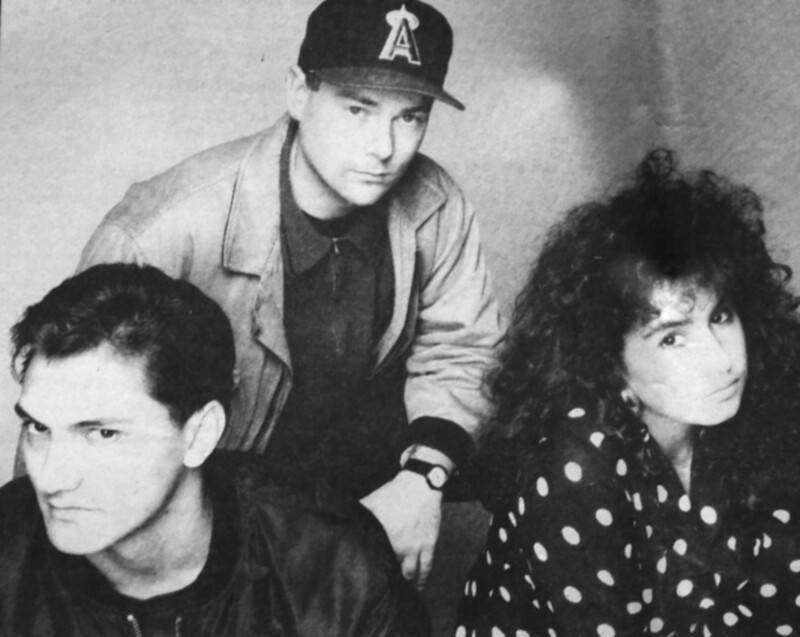 “We’re not good guitar pop, which is what New Zealand specialises in,” Tierney told Rip It Up’s Donna Yuzwalk in 1990, who seemed bemused by the pair sitting before her. While Hemisphere didn’t sell particularly well, it appeared on numerous US college playlists and received good reviews. “These arrangements are tasteful and executed with a kind of internal logic that, while recognizing a good idea retains enough discipline not to over use it,” said US magazine Options. 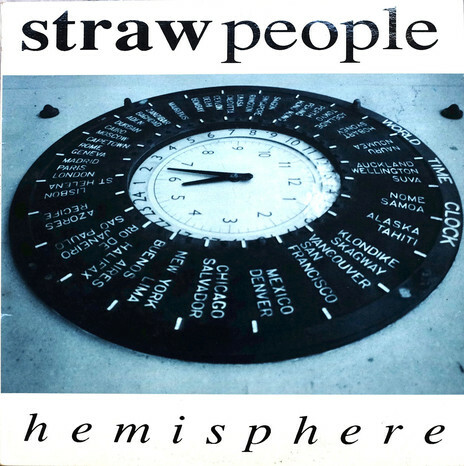 “The Strawpeople are to be commended for being more genuinely musical than many who work in this genre and for utilizing the samples, both instrumental and spoken, with subtlety and intelligence”. That pop element would come to the fore in the next two albums. Tierney was becoming a master in the studio and Casserly was also gaining confidence in song craft. What they lacked in musical ability was more than made up with an acute sense of taste and some of the best ears in the business. If it sounds easy it was often a fraught process in reality. “We argue, a lot,” admitted Tierney. 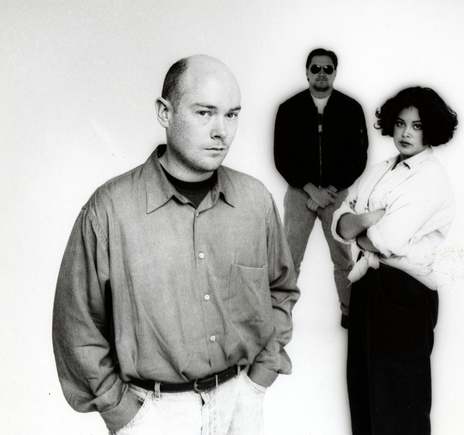 In 1992 McDonald (who would win Best Female Vocalist three times, in 1991, 1993 and 1995, for her work with both Strawpeople and Headless Chickens) left the band to join the Chickens full-time. Worldservice would be the last Strawpeople record to be released on Pagan. Its lead track was a moving gospel-tinged version of John Hiatt’s ‘Have A Little Faith’, sung by a teenage Stephanie Tauevihi. The track was inescapable at the time and demonstrated how wide-ranging their musical ambit was and the fluency the pair had achieved in the studio. Another highlight was ‘Trick With A Knife’. “I brought in the underlying rhythm and loops,” remembers Tierney. The album also featured stellar interpretations of local songwriter Ted Brown’s ‘Love Explodes’ and the original ‘Dreamchild’ which the Headless Chickens – via Fiona McDonald, who co-wrote the song with Casserly and Tierney – would soon appropriate as their own, renaming it ‘Juice’. The reworked track would be a highlight of Broadcast. The track was a big hit for The Headless Chickens and is still a bone of contention with Casserly. “It still shits me that The Headless Chickens renamed it when they covered it, calling it ‘Juice’ – I might sue the fuckers.” Although with Casserly – one of our finest satirists (his twitter handle is @drunkmuldoon) – that should be read with a wry grin. While follow-up Broadcast would eclipse the success of Worldservice, the earlier album contains the essence of the Strawpeople sound and ethic – as well as many of the tracks that would make up its more lauded follow-up. But for many, the versions of ‘Have A Little Faith’ and ‘Trick With A Knife’ here remain the definitive ones. In a 2011 Kiwi FM list of the greatest New Zealand albums, Worldservice was the only Strawpeople album to feature, clocking in at No.45. When the Chickens offered Strawpeople an opening slot at one of their sold out Gluepot shows it would be the only Strawpeople live appearance with Tierney. (In early ’97 Strawpeople, with McDonald fronting, played Melbourne and Sydney). Casserly hated it. “My memory is that Mark and I got talked into a show, were woefully underprepared and then had a shocker,” he recalls. “We had a great drummer but he couldn’t hear the sync click, it all fell apart like a bad pavlova. Our friends seemed to get a kick out of the shambles, the Germans have a word for it.